Well another month has come & gone. That's month number three of 2015 & it seems to be going faster with every passing day. I wish there was more daylight; I wish I were accomplishing more. There never seems to be enough time. Anyway, I shared some of my life & experiences on Instagram. If you haven't seen them, you ought to follow me! March was all about style. Trying new things. Buying some fresh clothes to survive in the warmer months. Here in San Diego it's gotten hotter & hotter. An evident preview into the future that is summer. I've already made several trips to the pool -- both to tan my pastiness & for some fun exercise, swimming casual laps. 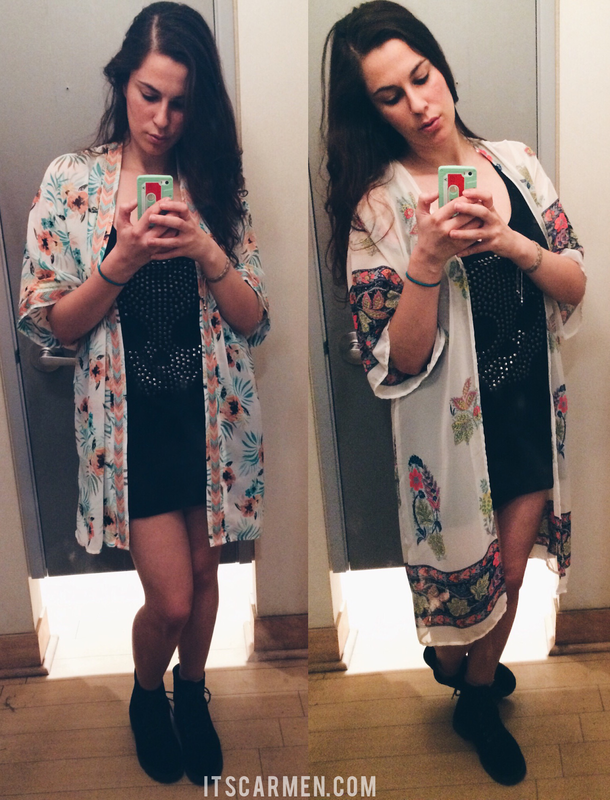 Trying on kimonos. Which one do you prefer? I made a new friend & his name is Mr. Enormous Moth. Although he was dead, it took me about two weeks to finally get the courage to go near him. I was able to take some beautiful photos & honor his life. Isn't he pretty? Instagram was quite lovely this month & I have to say March did me well. I so want a smoothie after I saw that picture. OMG, it looks so good! I think you should go with the right kimono, I liked it better on you. Love the longer Kimono version! Looks fab on you, Carmen! 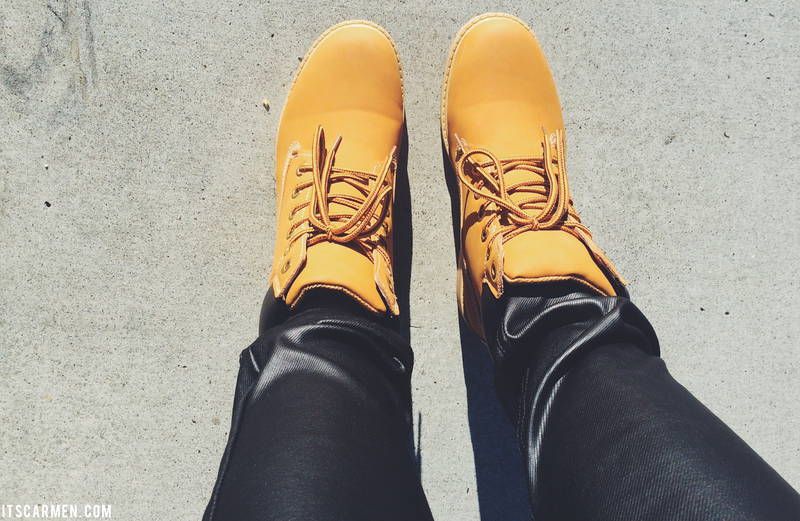 The Timbas look-a-likes are gorgeous!! Great insta impressions, dear!!! That berry smoothie bowl looks delicious! 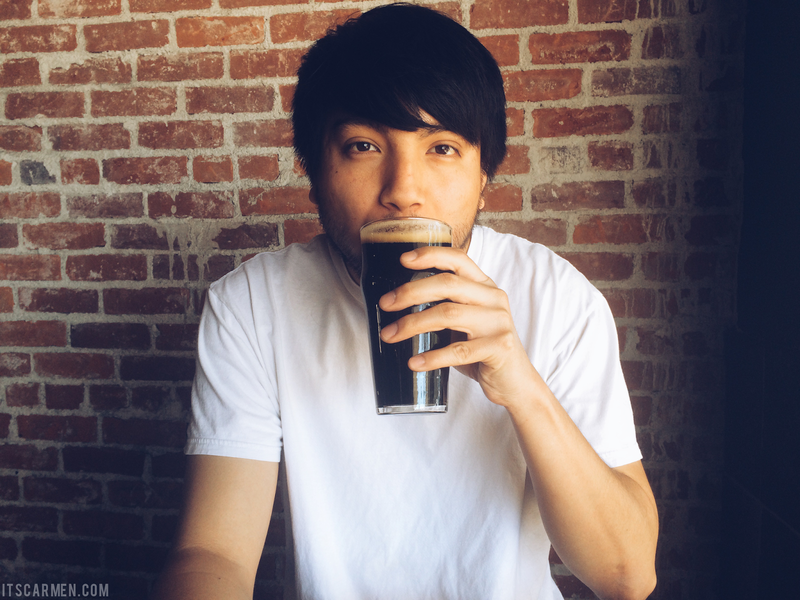 You took some amazing photos this month! I love your Tim look-a-likes. I got a pair of Doc Martens for my birthday that are reminiscent of Tims but are grey instead of the camel color. Love that moth photo! In Buenos Aires there have been A TON of moths over the past couple of months, and I always seem to find them in the house on their last leg. I don't know if it's some sort of plague or what, but I've never seen so many! As for the kimonos, I really love both on you! Something tells me that maybe the tropical floral one might be more "you"? Correct me if I'm wrong! Love this pictures! I made a similar post of my blog just now haha. 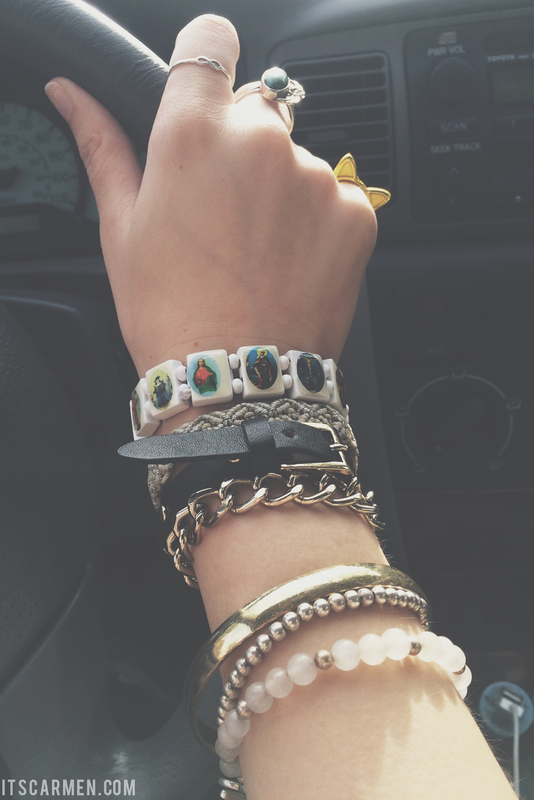 Love the arm candy pic! Just going to sit here in jealousy of you getting to hang out by the pool, even better without a crowd. :) Love the kimono on the left! Amazing pictures! I love your bracelets! Nice recap! Great photos! That pool photo makes me envious for warm weather. You were so lucky to have that stunning pool for yourself, a perfect way to get a summer tan!!! That berry smoothies look so yummy. Would you like to follow each other? Let me know if you follow me. 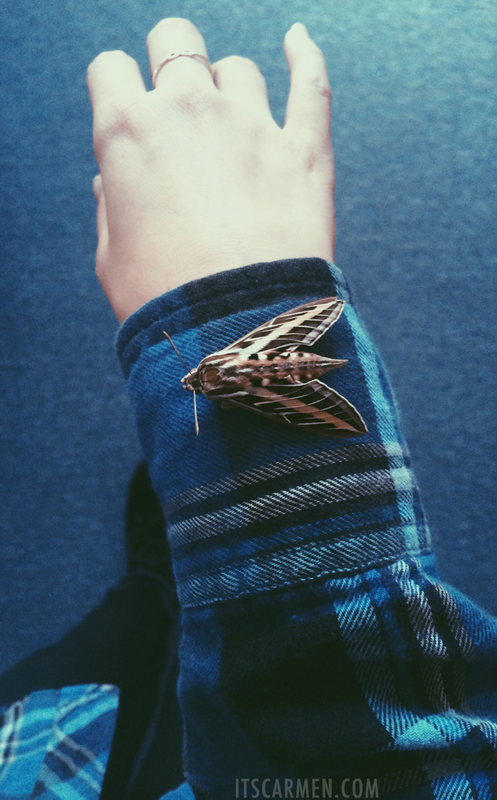 I didn't even realize that moth was real! I thought it was a brooch or something! Nice instagrams! I am so jealous for the one by the pool! i love the California god vibes. All of your photos are very cool. Love the kimono, it's the perfect way to add that something to a casual outfit. Oooo, I am seriously envious of the pool picture! I miss hanging on by the pool and warm weather! Love these Instagram photos! 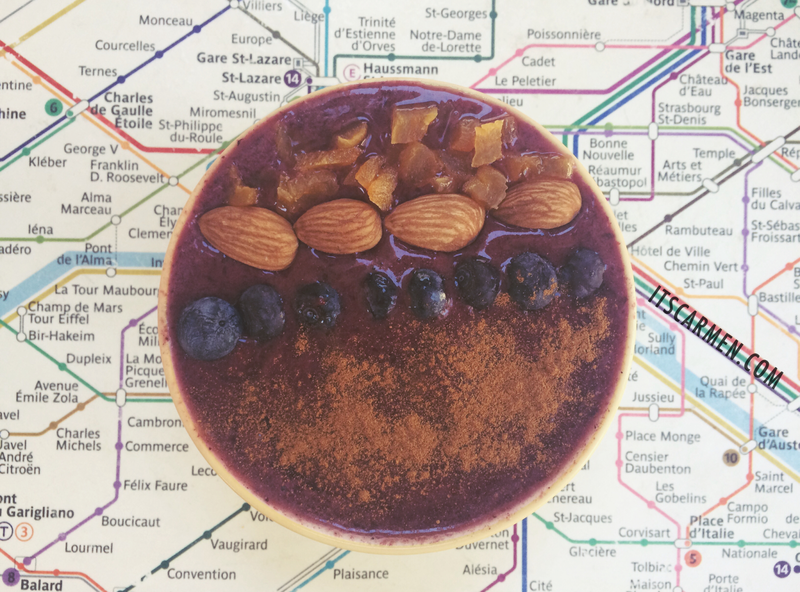 I have always wanted to try a smoothie bowl...it looks so good! I love your pictures! I'm definitely going t follow you on instagram right now!